Streaming services are limited to one area, those that are globally available are segmented and tailored to regions according to copyrights. For instance, BBC iPlayer is only available in the UK while Netflix is available in a lot of countries, but Netflix US has a vast catalog. If you don’t live in the UK, you won’t access BBC iPlayer, also, if you don’t reside in the US you won’t access the vast richer catalog of Netflix US. High internet speeds are necessary for streaming and watching online content in HD without buffering. Most ISPs also offer cable services, and they don’t like competition from online streaming services. Most likely they won’t block the service, but they will throttle their traffic. This translates to a frustrating streaming experience due to slow speeds, low quality and most annoying, buffering screens. Your ISPs keep logs on connection details and everything you do on the internet. This is how they know what service to throttle in the first place. Apart from ISPs, most free streaming services may offer copyrighted content, and this has attracted law enforcement agencies to the cord cutters world. Since ISPs know all your internet activities, they can be coerced to give out your details easily to the law enforcers. You might then be hit with copyright infringement charges. When using a VPN, you don’t have to worry about the above problems. A VPN uses strong encryptions that provide security and hence keep prying eyes from knowing what you are doing on the internet. Also, your ISP won’t throttle your internet speeds. Additionally, VPNs have global servers through which they assign you a virtual IP address according to the server location you choose. If you select a server in the UK, you will get a UK IP address, and ultimately you will be able to access BBC iPlayer, Bye bye geo restrictions. But, note that even accomplishing most features, free VPNs are allways limited in many ways and leaks some of the above mentioned that you can only find in Premium VPNs. Android TV boxes require unlimited bandwidth, high speeds, access to geo-blocked content and lastly, privacy and security. Unfortunately, free VPNs don’t meet this criterion, and therefore they are not suitable choices. Most common free VPNs have a limited bandwidth that ranges from 500MB to 2GB. This is not enough for streaming HD content. These VPNs also have speed caps and throttling that results in buffering problems. They also keep logs and collect your user data, which is a violation of your privacy. Worst of all, they have few servers, and this means you won’t be able to access the geo-restricted content you desire. Also, they seldom stream Netflix US and BBC iPlayer and other services that use torrents won’t work. 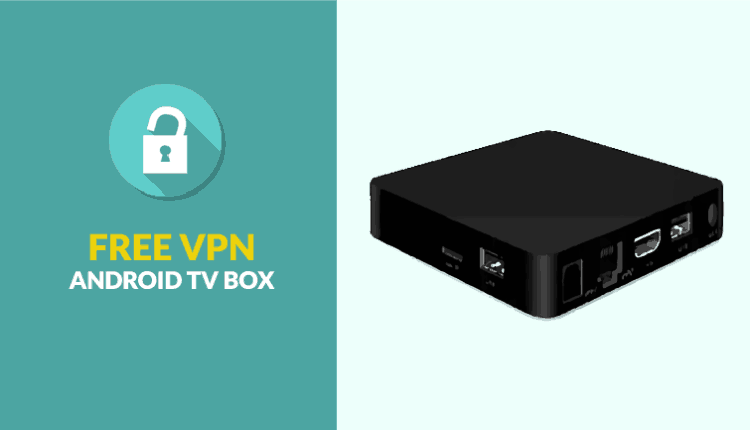 Fortunately, we did some research on Best Free VPN for Android TV Box and found out some free VPNs that you can use in your Android TV box. 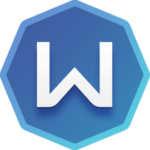 Windscribe VPN has a very generous free plan and it’s one of the best free VPNs suitable for an Android TV box. It has a 2GB data cap which can be increased to 10GB if you register with your email and confirm it. This VPN has no ads, it supports P2P traffic and it has some decent speeds of up to 30Mbps. The major downside with Windscribe’s free VPN plan is that you get access to only 10 servers. Hide.me VPN is a great free alternative VPN for Android TV box due to its features. The free plan gives a 2GB data cap per month, a Kill switch, dedicated Wi-Fi protection and it also supports P2P traffic. Additionally, it doesn’t log user activities. Apart from the 2GB data cap, the free plan gives you access to three server locations and the speeds are capped. Being referenced by everyone as one of the best among the bests, IPVanish is a safe bet when it comes to protecting your privacy and increasing your online security. Indeed, its strict “zero-logs” policy ensures that there will be no records of your activity when you browse the internet and therefore your information can not be communicated to third parties simply because it does not exist. 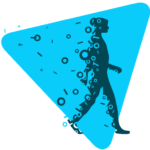 Of course a VPN tends to make your browsing slower; however, despite strong 256-bit AES military-grade encryption, thanks to the quality, number and diversity of servers in more than 60 locations around the world, IPVanish manages to be 5 times faster in small distances and 15% faster downloads on long links distance from its direct competitors. When it comes to portability, IPVanish is also if not the best, one of the best as it allows you to connect up to 10 devices simultaneously, ensuring you security and privacy, whatever the type of equipment and operating system, used. Finally, in order to experience the service, IPVanish has a 7 day money back guarantee policy; so you will not risk being dissatisfied. ExpressVPN is the perfect VPN for Android TV box. It uses one of the best encryptions available, the AES 256-bit encryption which ensures your data traffic isn’t visible to your ISP and other agencies. Combining this security with its 2000+ servers in 148 VPN server locations in 94 countries, ExpressVPN bypasses geo restrictions, and it’s among the best VPNs that gives you access to any content online. Its known for unblocking almost all popular streaming services such as Kodi, BBC iPlayer, Netflix US, HBO, Hulu, etc. Its servers provide blazing speeds and unlimited bandwidth which are necessary for streaming HD content without any buffering problems. It also allows P2P traffic. It keeps zero logs and its based in the British Virgin Island (BVI) where there are no mandatory data retention laws. This means no one will track you based on your internet activities. At last but not least on this guide of the Best Free VPN for Android TV Box, NordVPN also unlocks virtually every streaming service. Thanks to its biggest network of over 5000 global servers in 62 countries. It uses smart play technology a feature that enables it to provide a safe streaming experience with no buffering, throttling and with fast speeds. NordVPN servers also allow P2P traffic. NordVPN also ensures that your security and privacy are well taken care of. It uses military-grade encryption; AES 256 bit, and it has a strict no log policy. Additionally, NordVPN packs some security features that ensure your internet connection won’t be loaded with malware. Being based in Panama, it’s also not required to retain user data. There are free VPNs out there that you can use with your Android Tv box but you will have a frustrating experience. The best option is to use the above premium VPNs, with a 7 or 30 days money back guarantee – depending on the choosen one; thus you can test and enjoy their premium service for free. Hope this guide on Best Free VPN for Android TV Box, have been useful and clarifying. No matter the choice you’ll do, the most important is to protect yourself. Do not use free apps. The providers of these apps are stealing your data and selling it for third-party companies. Take Express or Nord, they are not saving your logs and are located offshore for an additional layer of safety. I use a paid VPN (that is not listed here) on my Android TV box and it works great. Free ones usually comes with a limited bandwidth, would it be a good idea to use it over resource hungry add-ons?